Is you marketing an investment or an expense? A marketing campaign is a defined series of activities used to market a product or service during a specific time period. A marketing campaign has a specific start and end date. A marketing program is an ongoing series of activities to market a product or service. Marketing campaigns have a short term focus. Marketing programs, on the other hand, focus on the long term. Programs are ongoing processes without discrete start and end dates. The ongoing nature of programs allows buyers to enter the process at any time and proceed with their customer journey whenever they are ready. Marketing programs can include be ongoing, recurring events such as a weekly webinar that educates on problems that you may have. They are often an automated series of communications, typically email or direct mail, that are initiated by a user action such as signing up for a newsletter or downloading an whitepaper. Marketing programs continually run so they are available whenever a prospect first learns of your company or is ready to start investigating solutions. A program is designed to deliver multiple touches that can help move a prospect from awareness, through consideration, to making a purchase decision. 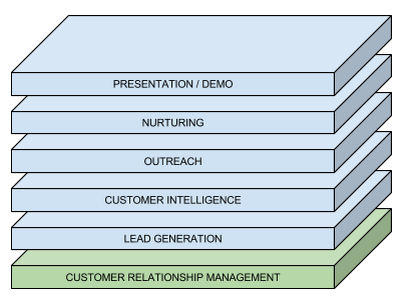 A marketing program might look like the following. A webinar that is conducted every week that creates company and product awareness. A short series of emails are sent out after the webinar. The offer in each email is changed up, if a prospect responds to a particular message it can indicate how quickly they might move to a purchase decision. For example, if they click on a message that describes problems they are having, they’re likely still trying to define problems that need to be solved. If they click on a call to action to learn about detailed product information or a free trial, they are likely well into consideration. The beauty of marketing programs is that they allow prospects to move through their own journey as quickly or slowly as they’d like. Calendar based campaigns can only be effective if the offer, whether information or a discount, reaches the prospect at the time they’re wanting or needing that offer. If the timing isn’t spot on the message won’t work. The messaging in an ongoing program can be dripped out to the prospect over time, allowing you to remain top of mind and target messages to where they are in their journey. A business operating expense is payment made for the day-to-day functioning of a business. Once the money is paid, it’s gone. Advertising that has a goal of generating immediate sales is a typical marketing expense. You pay for the advertising, prospects view it, and if they don’t act the money is pretty much lost. You may get a little back in the future due to awareness, and the adage it takes seven touches for someone to remember your brand. But for the most part, the money was spent with little return. Marketing campaigns are, for the most part, expenses. The benefit incurred from money spent on calendar based marketing activities happens during the campaign time frame or there is no benefit. A capital expense is an expense a business incurs to create a benefit in the future. The future benefit makes a capital expense an investment in your business. Creating content and implementing ongoing programs are classic examples of marketing investments. An investment in quality marketing content can be effective for years. Blog posts can drive traffic for over the long term. According to Google Analytics, a blog post I co-wrote for a client has been one of their top six landing pages for five years now and counting. A white paper can similarly generate leads for years. The same can happen from videos you produce and publish on YouTube. Another example of a marketing investment is designing and implementing a marketing automation program. While you may continually test and make small investments, most of the content and all the programmatic logic can be used over a long period of time. There are several things you can do to move more of your marketing spend from a short term expense into long term investments. Create variable data direct mail templates that can be used over and over again with personalized, relevant messages. 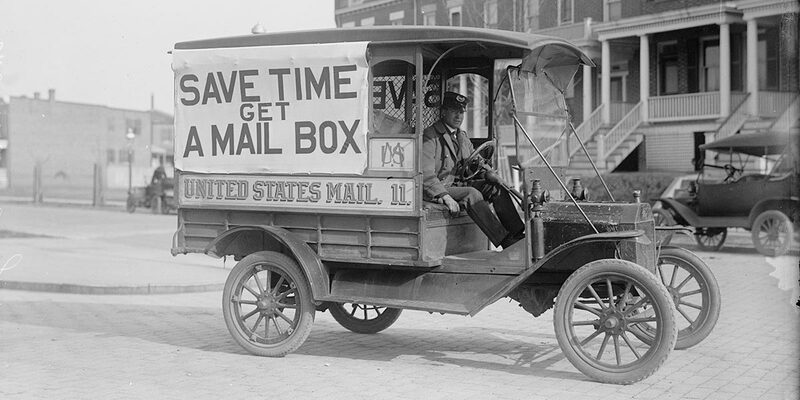 Spend less on your monthly email newsletters. Invest the time into creating targeted drip email campaigns that are sent out over a period of time that are initiated by some prospect behavior. Spend less on reactive campaigns that attempt to solve short term sales pipeline problems. Instead, take the time to map out your customers’ journeys and create content for each step of the way.